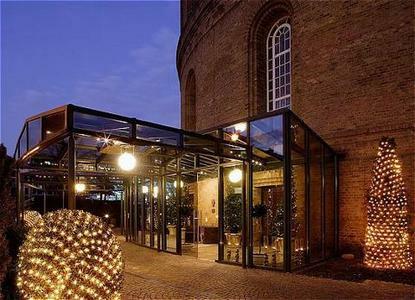 At the Hotel im Wasserturm the accent is on gastronomy of the finest order. Its Michelin starred restaurant La Vision with its award winning interiors led movie star Brad Pitt to comment - Rapunzel would have been proud to let her hair down here.Exclusive, unique, remarkable, the Hotel im Wasserturm is a luxurious international hotel located in Europe's once-largest water tower. Hidded within a 130 year old nationally protected structure, guests will find themselves surrounded by extraordinary interior architecture of timeless attractiveness designed by Andree Putman.The inimitability of the hotel continues through to the restaurant, where the finest French gourmet cuisine is dreamt up by the head chef Hendrik Otto. Despite its city centre location an air of stillness can still be found within the hotel, ensuring guests can experience a most peaceful stay.